Chili's, purveyor of fine almost-meats and winner of America's coveted Place Most Frequently Confused with Bennigan's award for ten years running, has recently started fundraising for the batshit insane anti-vaccination crowd. 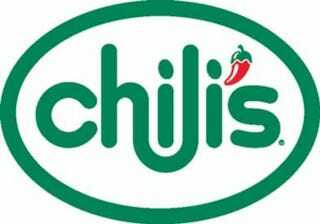 In honor of National Autism Awareness month, Chili's is planning to donate 10% of its customers checks to the National Autism Association. Sounds great, right? Just one problem: the NAA is unabashedly anti-vaccine, writing that vaccinations can trigger or exacerbate autism in "some, if not many, children." Yeah...that's definitely in no way true. As the Centers for Disease Control have pointed out many times, including recently, there is no link between vaccines and autism. When questioned about its full position on the issue in their own FAQ, the NAA dodges the question and links to the National Vaccine Information Center — an organization described as "the most powerful anti-vaccine organization in America" by journalist Michael Specter. The NAA also sponsors a website called "Age of Autism" which has the words "Yes, Vaccines Cause Autism" ON ITS FREAKING MASTHEAD. So for the next month, eating at Chili's is essentially tantamount to funding efforts to bring back whooping cough and measles. Enjoy your Crispy Chicken Crispers!